For the next selection on the highlife turntable, I have selected the track Obi yE wo bcne a faky3 no by the T.O. 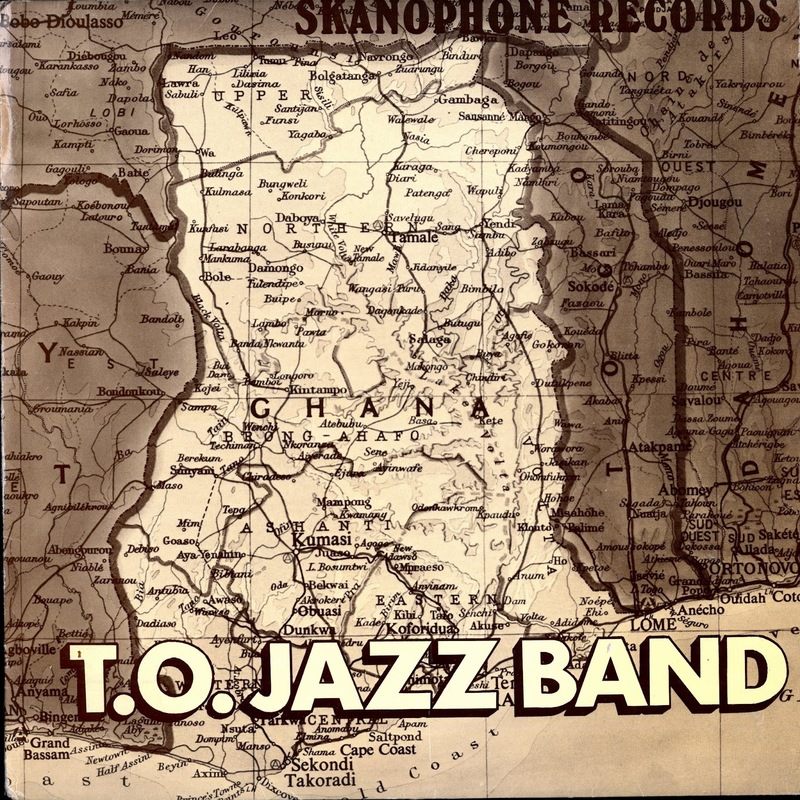 Jazz band off a 1976 release by Skanophone records. I've posted other T.O. Jazz tracks in the past and am always on the lookout for music by this artist. Skanophone records was based in London and this was their third release. It appears from the playlist to be either a compilation of existing tracks, as I recognized a number of tracks, or may have been a new release. Either way there was some material I had not seen. The song titles were also in the Ghanaian Cyrillic script. Perhaps this is a clue to the type of highlife music being played. I also really liked the detailed map on the cover. The song has a beautiful opening and the lyricism of the lead vocals and chorus really made this song a solid winner for me. Check out the nice guitar playing around the 2.50 mark. I hope you like it. Happy New Year from the highlifecave. Do you mean you did not like the tune or you could not play it?